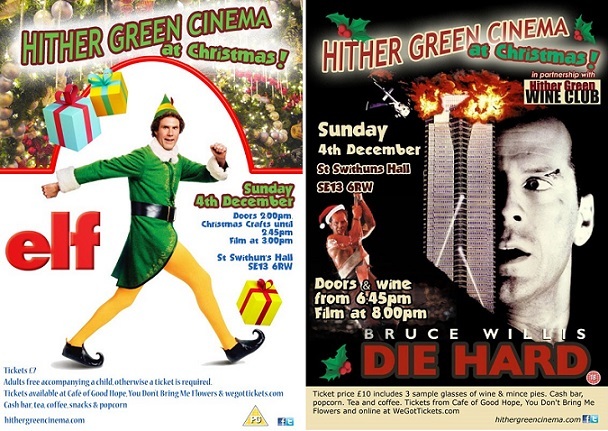 On Sunday 4th December your small community team of volunteers at Hither Green Cinema are looking forward to welcoming you to Hither Green (St Swithuns) Hall, once again in partnership with Hither Green Wine Club for our evening screening. 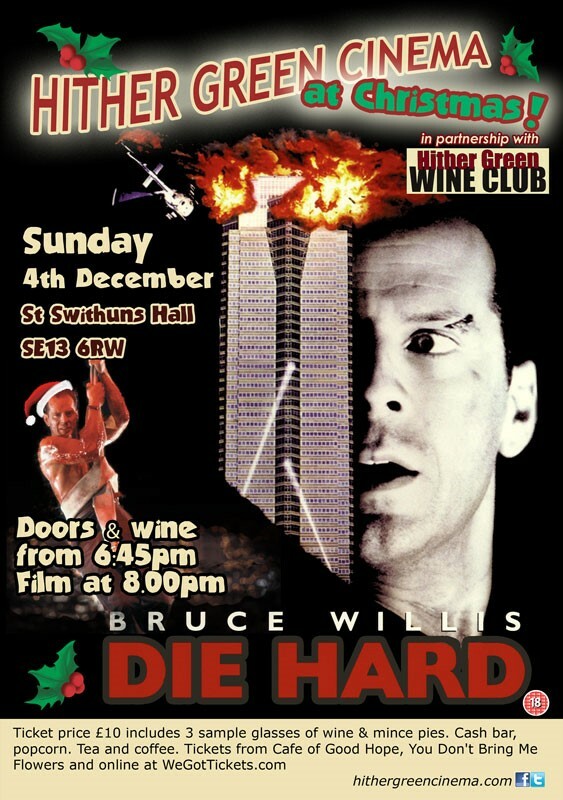 There will be mulled wine for the grown ups in the afternoon too!! 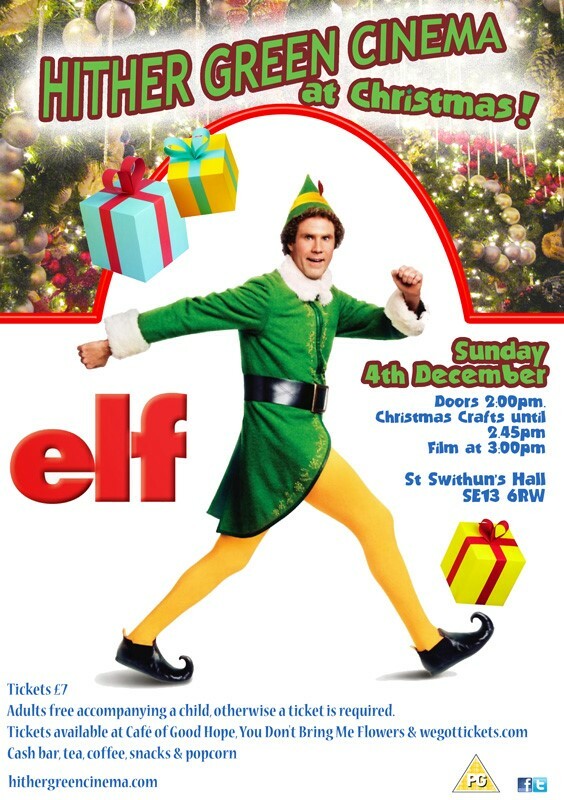 ELF (PG) & CHRISTMAS FUN FOR THE KIDS! In case you are wondering why Die Hard has been chosen as our Christmas Film by the community, here’s 25 reasons why Die Hard IS a Christmas Film! Next post Special festive Sing-in-the-Park!